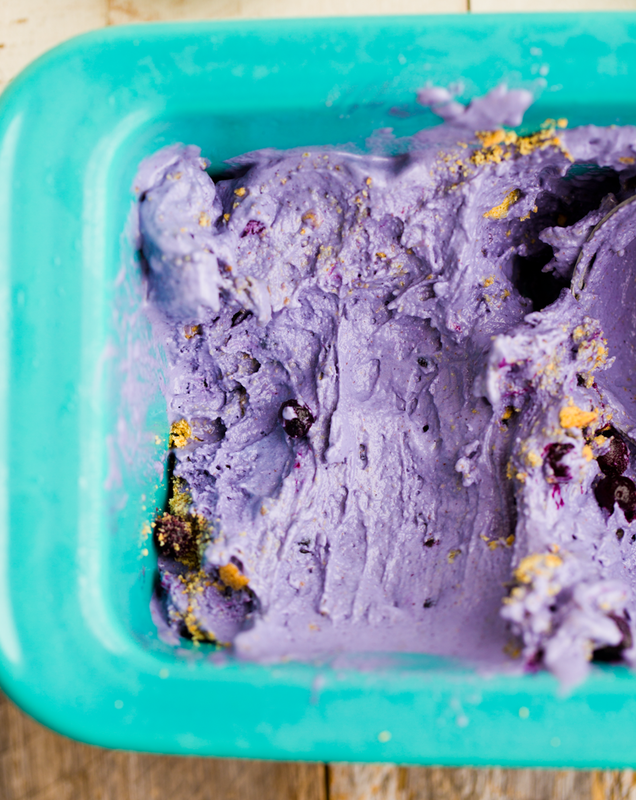 This dairy-free, vegan Blueberry Cheesecake Ice Cream is beyond dreamy. Rich, creamy and gorgeous in a bold periwinkle blue color. 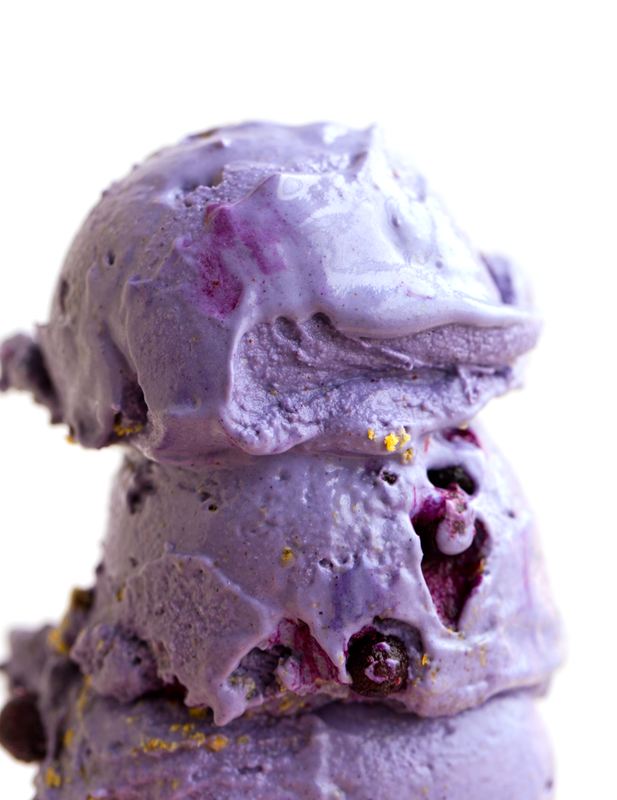 All naturally flavored and colored using wild blueberries. Crusty crumbles add texture and that "crust" flavor from cheesecake.. 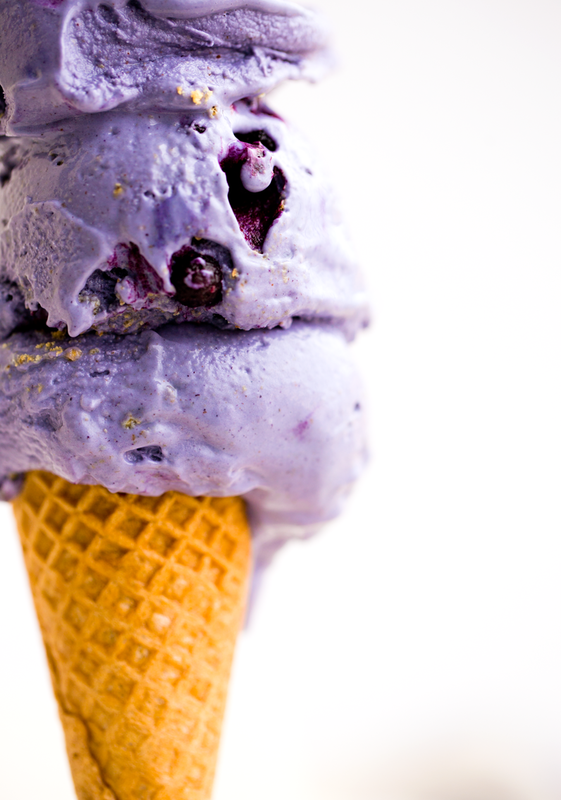 This color has me swooning..
Blueberry Cheesecake Ice Cream was one of my childhood flavor favorites. As a kid, my family would go to an ice cream shop called Swensen's, they used to have a location in Palo Alto, so we would stop by on our way home, back to Santa Cruz from San Jose. I remember I would get two flavors: Blueberry Cheesecake Ice Cream and Bubble Gum. It was the type of Bubble Gum that was bright blue and had gobs of gum balls in each scoop. But I loved the Blueberry Cheesecake most of all. 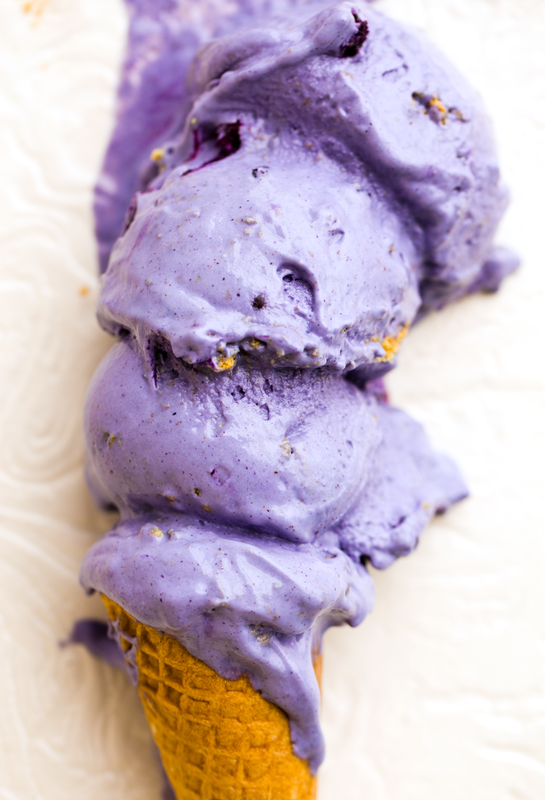 It had thick chewy swirls of blueberry pie filling and giant chunks of fudgey cheesecake. And they did! 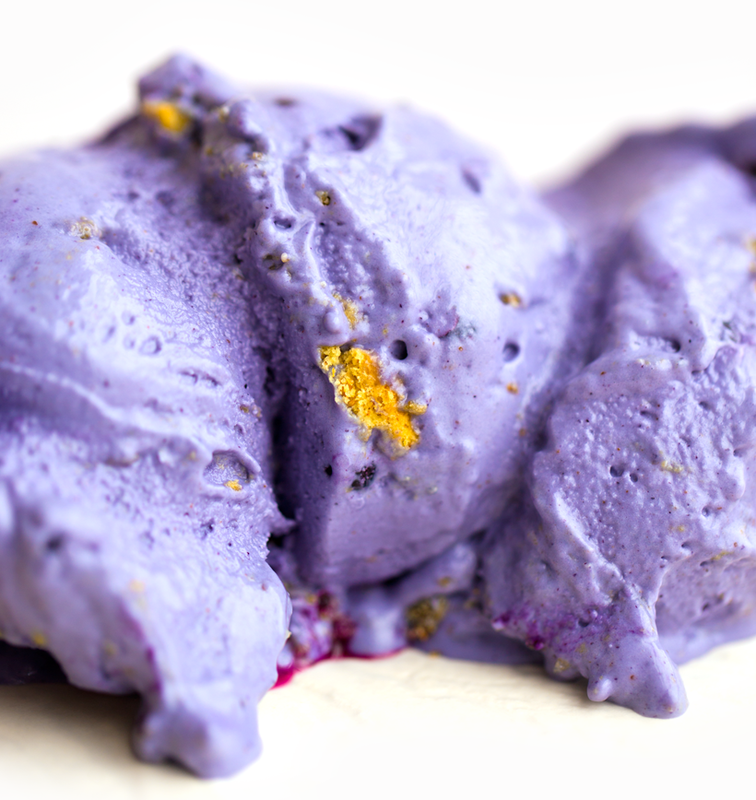 This ice cream hits the mark in terms of Blueberry Cheesecake flavor, texture and color. This just might be my new fave flavor for 2018. ...And hey, isn't the Pantone color of the year purple, aka ultra violet? On trend ice cream, guys. Instagram your hearts out. - Antioxidants galore! 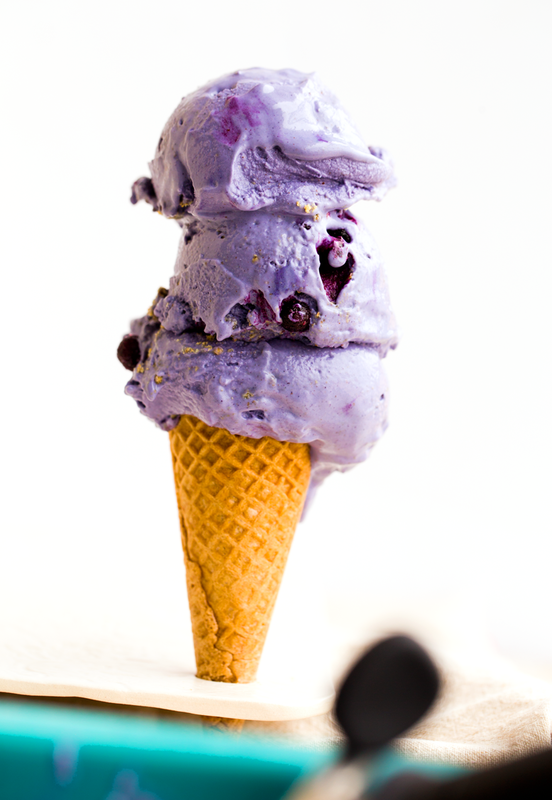 Wild blueberries have two times the antioxidants as regular blueberries (because they are smaller and have more dark pigmented skin than regular blueberries). 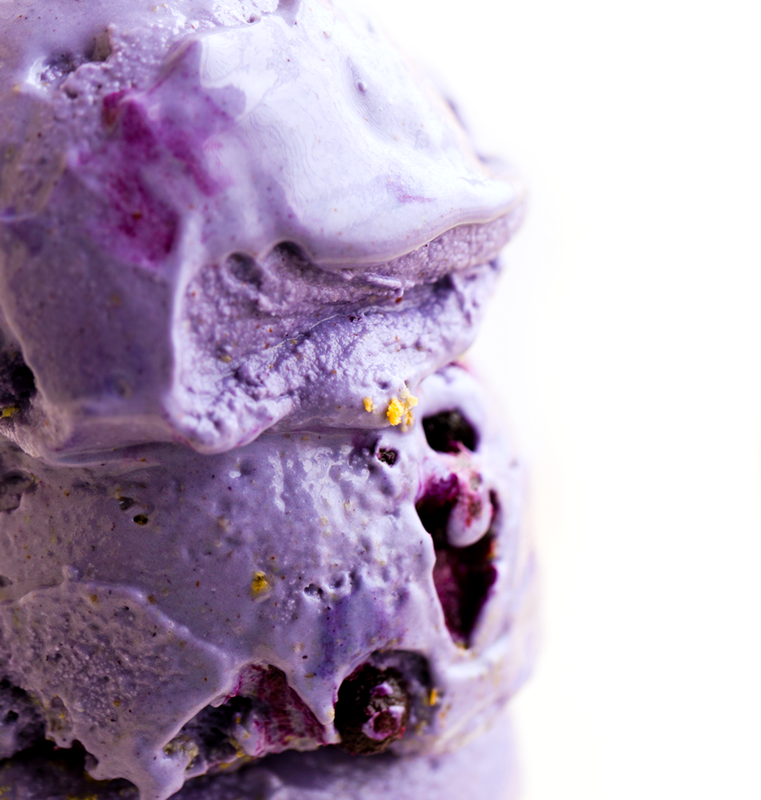 You could use regular blueberries, but I think wild berries will give a bolder color and flavor. I visited Maine a few summers ago and picked wild blueberries. The graham/crust swirl. So an important layer of flavor is the crust. If you are a vegan who avoids honey, you might have a tough time finding honey-free grahams. They do exist, but they can be hard to find. So here are a few options for the crushed 'crust' crumbs..
Any other creative ideas for a crust ripple in here? Let me know! Also, if you WANT to fold in some vegan cheesecake chunks, for extra bonus points, go for it.. 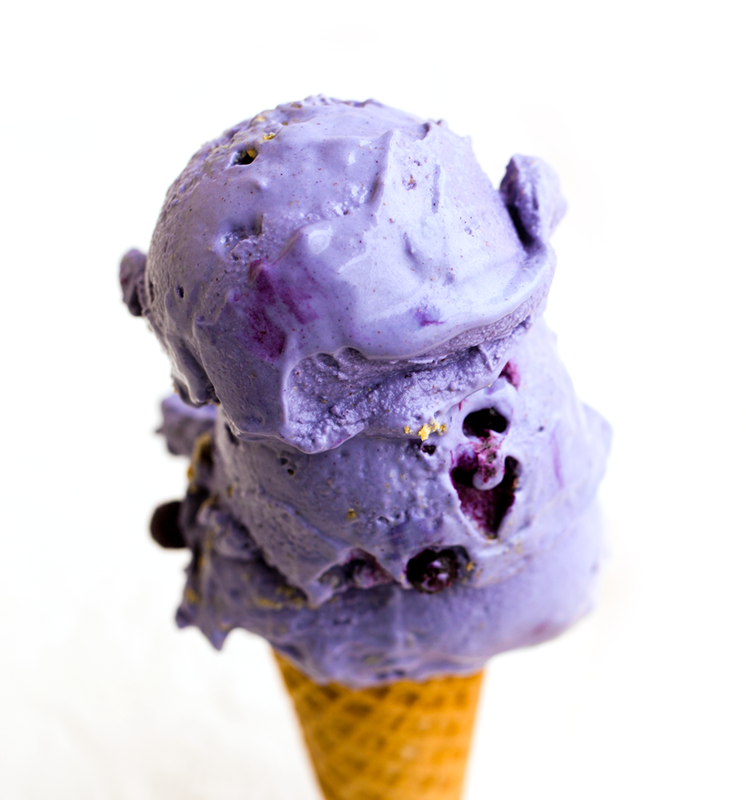 This ultra-creamy dairy-free Blueberry Cheesecake Ice Cream is loaded with real wild blueberry flavor in every cheesecake-y bite. Vegan and cashew-based. The day before you want to make and serve the ice cream: Place the raw cashews in a large bowl and fill with water and a pinch of salt. Allow the cashews to soak overnight in your fridge. You also want to make sure your ice cream maker container is in the freezer and fully chilled for the next day. The next day: Drain the cashews of the soaking liquid. Optional: quickly rinse in cool water. Add the soaked cashews, agave syrup, 1/2 cup frozen blueberries, vanilla extract, salt and non-dairy milk to a high speed blender. Blend from low to high until silky smooth. Assemble your ice cream maker with the chilled container. 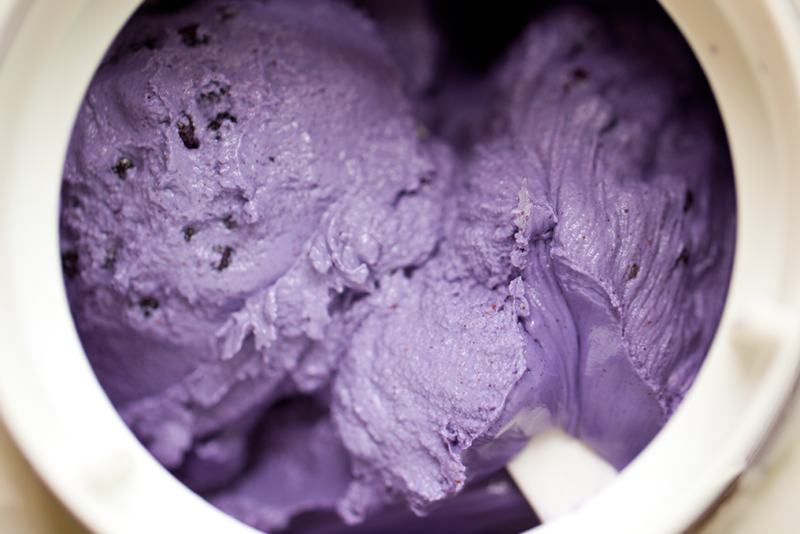 Turn it on and pour the blueberry ice cream base into the machine. Pour in the additional 1/2 cup of frozen wild blueberries. Set timer for about twenty minutes and allow ice cream to churn. 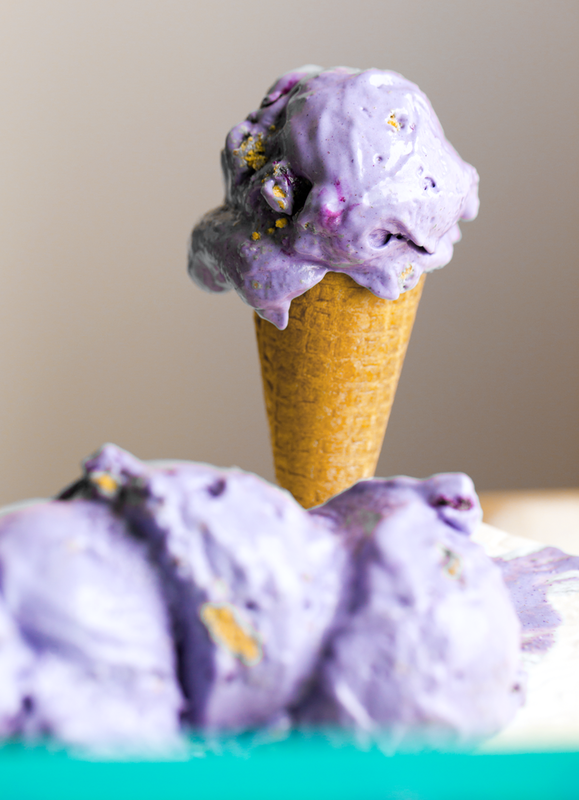 While the ice cream is churning you can crush the grahams or vanilla cookies. A few other options are listed in the recipe notes in this blog post. 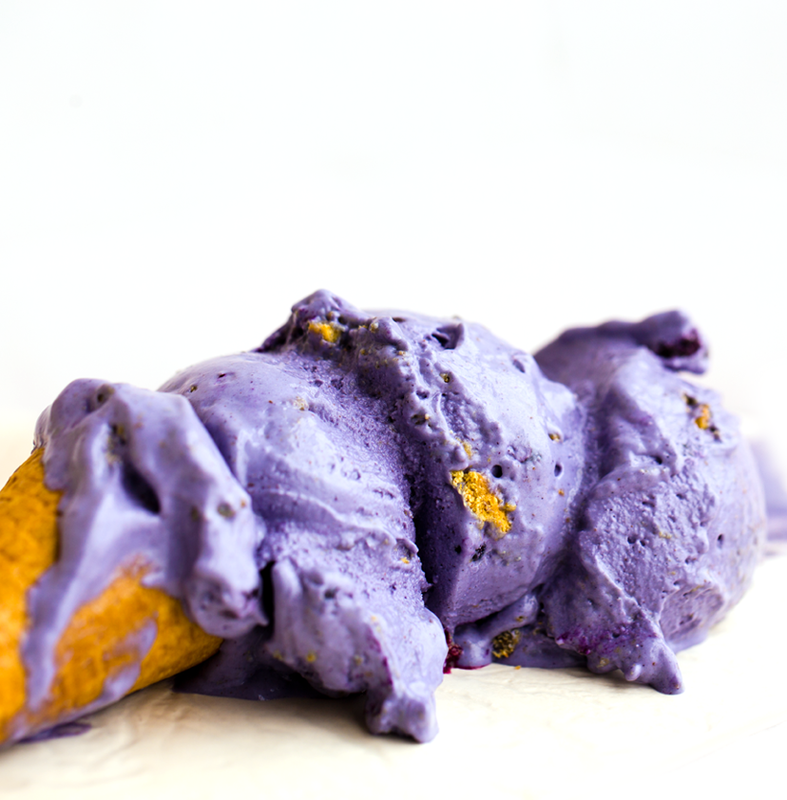 When the ice cream is thick, creamy and fluffy - churning is done. You can either fold in the crushed cookies/grahams by hand, or swirl them into the ice cream maker for a few seconds on "on." 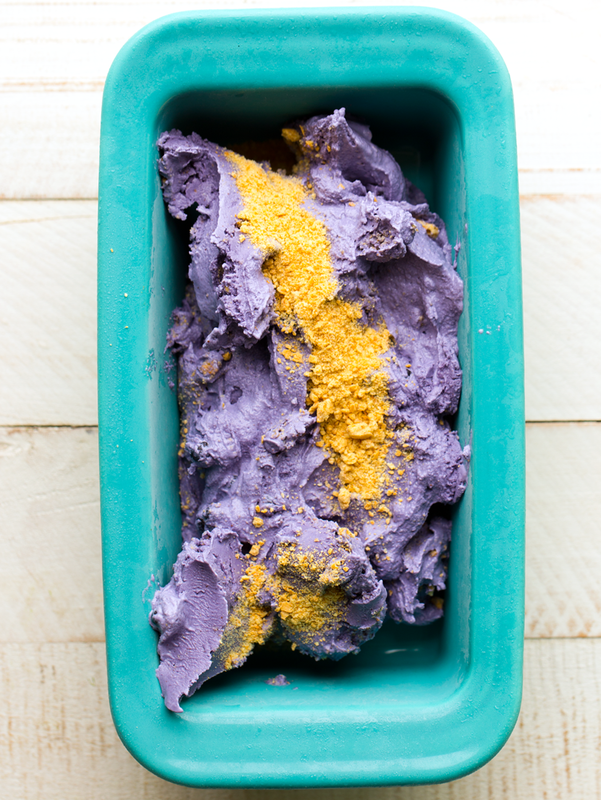 Transfer the ice cream to a freezer-friendly container like a loaf dish or similar. 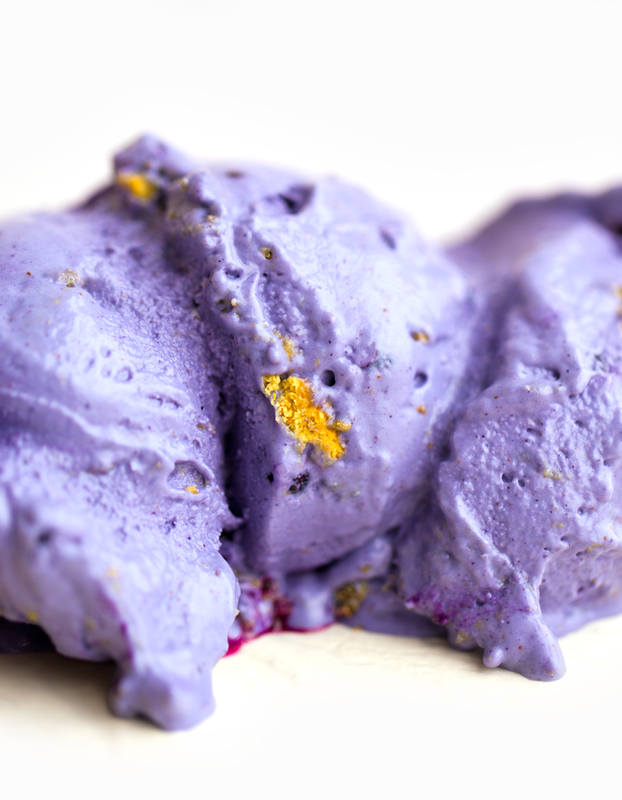 Cover and allow to chill for at least ten minutes before scooping and serving. 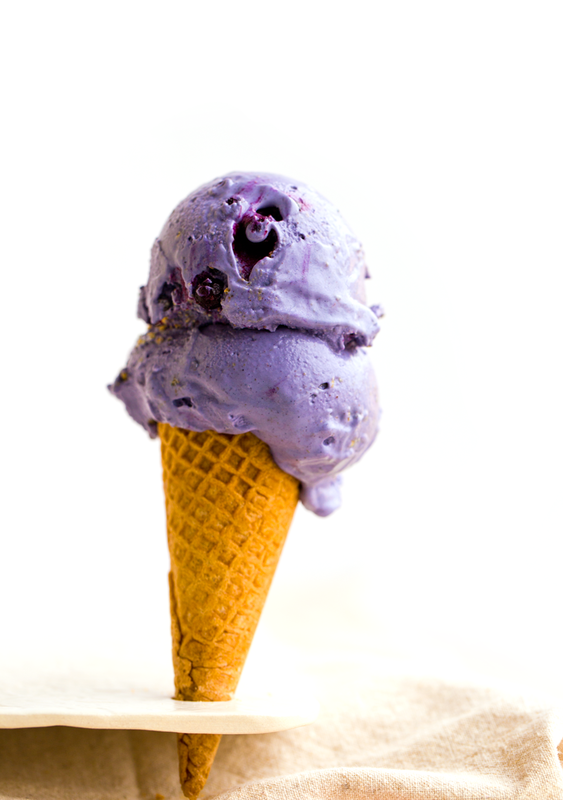 Tip: When the ice cream is fully chilled and hardened in the freezer, give at least ten minutes at room temp to allow it to soften and thaw before scooping and serving. Enjoy! !